The Mayor of London Office for Policing and Crime (MOPAC) has been consulting over changes to policing across London. 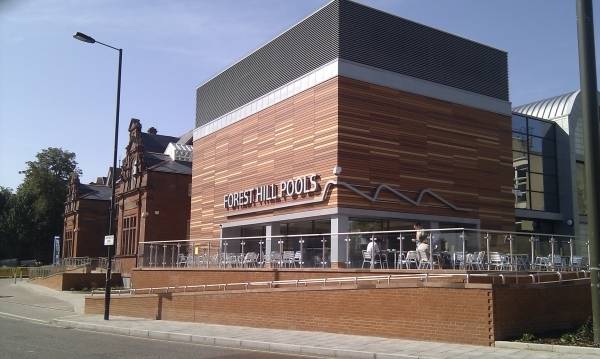 There are two issues that will impact policing in Forest Hill. The Metropolitan Police have been told to make cuts of 20% to costs, whilst at the same time cutting crime by 20% and increasing public confidence in the police. A challenge for any organisation, but MOPAC believe they have a plan that will do exactly that. The first aspect is a reduction in their property portfolio by reducing the number of buildings and concentrating their activities in fewer properties. Part of this includes the sale of New Scotland Yard, but no part of London is untouched by this sell-off of property. They propose to reduce the number of front counters across all of London, with each borough (except Westminster) having only one 24 police station open to the public, there are also proposals to close most other front counters across all of London. The main reason for this is that front counters are no longer the first point of contact between the public and the police, with much more done by phone, email, or at people’s homes. In Lewisham the proposals are to keep Lewisham police station as a 24 hour front counter, with daytime only front counters in Deptford and Catford. Two other police stations would be closed in Brockley and Sydenham. In addition East Dulwich police station would also be closed as part of the plans in Southwark. Chief Inspector Stuart Bell spoke to the Forest Hill ward assembly at the beginning of February about these plans and made it clear that Lewisham police force favours the retention of Sydenham police station as a front counter. 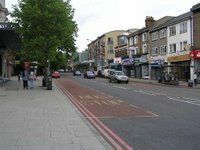 It is currently used as a base of operations by safer neighbourhoods teams in three wards; Forest Hill, Perry Vale, and Sydenham. There is a suggestion that Sydenham police station could be closed and a front counter open in a police building located on Catford Hill, on the edge of Perry Vale ward. This would provide some local facilities for the police and would avoid the cost of building works required to keep Sydenham police station maintained to a decent standard, but it is not as well located for the three wards it would serve. Other discussions are taking place about sharing facilities with other emergency services, most notably the fire brigade which could possibly be able to accommodate a police front counter. But all these alternatives are in the early days of being investigated. The Forest Hill Society believes that keeping Sydenham police station open is in the interests of the local community and will help to keep them anchored in the area. Beyond the physical location of police stations is another important change to policing. There are plans to increase the number of police officers across the Metropolitan police while reducing the number of senior ranks. In Lewisham the proposal is to increase the number of police officers from 593 in October 2011 to 647 by 2015, a 10% increase in the number of officers. One important difference to the current structure would be the spread of safer neighbourhoods teams. At present most wards have one sergeant, two-three PCs and three Community Support Officers (PCSO). This would be reduced to one PC and two PCSOs, with a sergeant overseeing multiple wards. However, there would be a significant increase in the total number of police officers in the safer neighbourhoods team, to respond across the borough where the most crimes need to be tackled. The proposals are to increase the number of police in the safer neighbourhoods teams from 53 to 162. Chief Inspector Stuart Bell is one of the few officers who has experienced the restructured safer neighbourhoods teams in action, when he was based in Lambeth, and his opinion was that the new structure would provide greater flexibility and improve community relations.